Happy National Lipstick Day! Today is the perfect opportunity to share tips and tricks for recreating my fav lip trends with L.A. Colors Cosmetics! My favorite trend can actually transform into my favorite trick for creating plump lips! It’s a win-win for everyone. 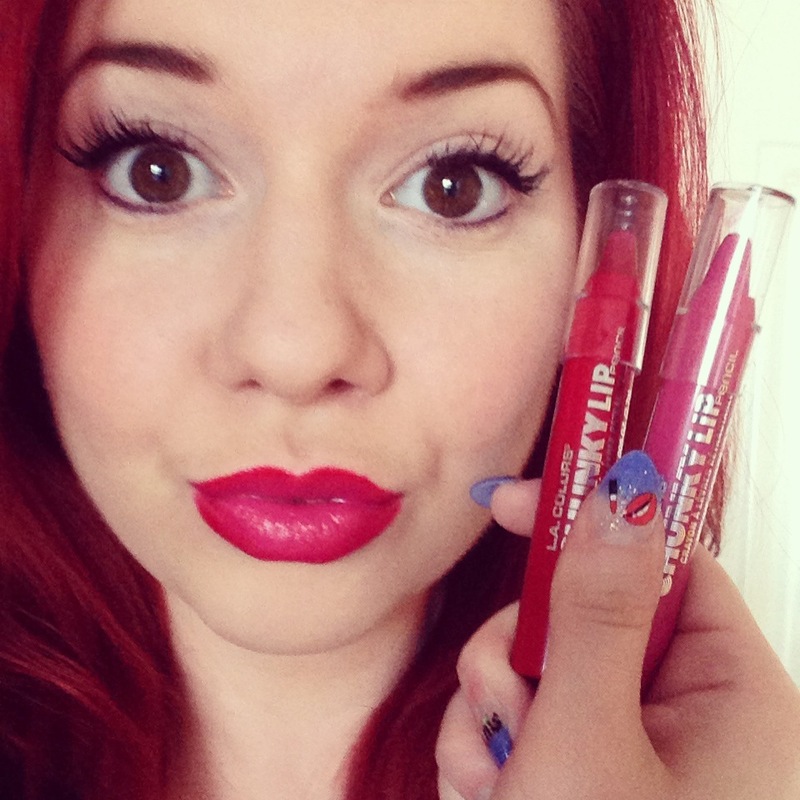 We’ve all heard of the ombre hair trend, but have you ever tried an ombre lip? It’s a fun (and super simple) way to mix up your lip wardrobe and inject a little high fashion into your look. L.A. Colors has the most amazing lippies to help you get this look with minimal effort. I’m living for the L.A. 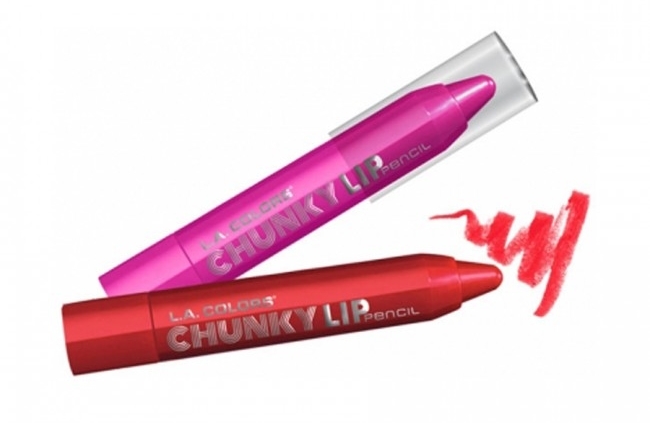 Colors Chunky Lip Pencils! They blend so easily and deliver high impact color with a perfect balance of shine. To get the ombre lip effect, stick with two shades in the same color family. I selected Deep Red and Rose as my color combo. Line the lips with the darkest shade (Deep Red) and blend inward. Then fill in the rest of your lips with the lighter shade (Rose), concentrating on the center of your lips. If you aren’t into a full out two-toned lip look, you can blend the two shades in more for a more subtle effect. This will create the ultimate optical illusion for plump lips. Muah!